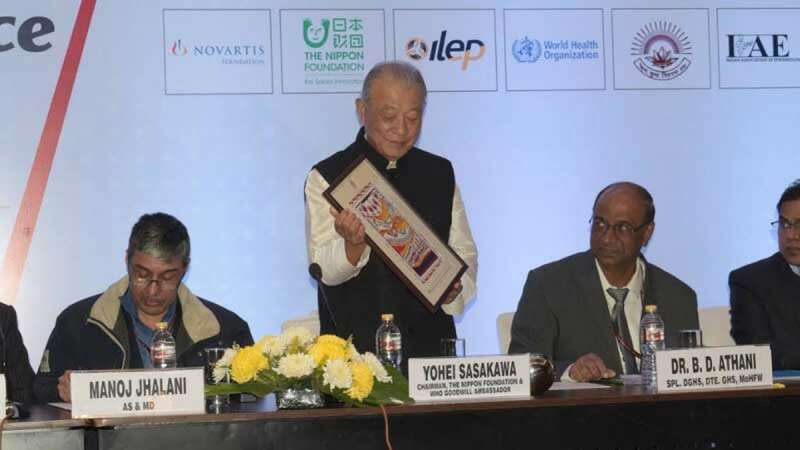 New Delhi : National Leprosy Conference, 2017 was organised in Delhi from 5th to 7th Dec, 2017. A unique conference where grassroots level health staffs shared their experiences with national and international experts. He also said it should be introduced to detect the disease at an early stage. The purpose of the conference is to bring all the stakeholders together, share their experience with each other, learn from each other and recommend measures to further improve the National Leprosy Eradication Program. The conference is support of Novartis Foundation, The Nippon Foundation, ILEP, WHO, HKNS, IAE and Central Leprosy Division (CLD). Mr. Navdeep Rinwa, Joint Secretary of MOHFW said since 2005 the number of diagnosed people is increasing. He said, " more than 34000 new cases has been found in LCDC, 2016, which is an early case detection campaign to find out more cases of leprosy and LCDC, 2017 is being implemented in 23 States in India as of now." In India, trends indicate that undetected cases are there in the community and transmission of the disease is continued. The government and the ministry have reasserted their determination to push for the last mile in making Leprosy Free India. Leprosy Case Detection Campaign (LCDC) - Leprosy Case Detection Campaign (LCDC), in line with pulse polio campaign, was initiated in high endemic districts. During LCDC of 2016, which was launched in 163 districts of 20 States, population of 360 million was covered wherein till date more than 5.5 lakhs suspects identified out of which more than 34000 cases have been confirmed. ‘SPARSH’ Leprosy Awareness Campaign, to reduce stigma and discrimination. It was introduced and launched on 30th January 2017 i.e., Anti Leprosy Day, wherein nationwide Gram Sabhas were organized in cooperation and coordination with an allied sector of the health department. These Gram Sabhas were organized in approximately 3.5 lakhs villages. This is a unique conference where grassroots level health staffs will share their experience with national and international experts. All variety of implementers, persons affected by leprosy, national and international experts and support organizations will be expected to speak on the occasion. Discussions will be held to come out with relevant recommendations.